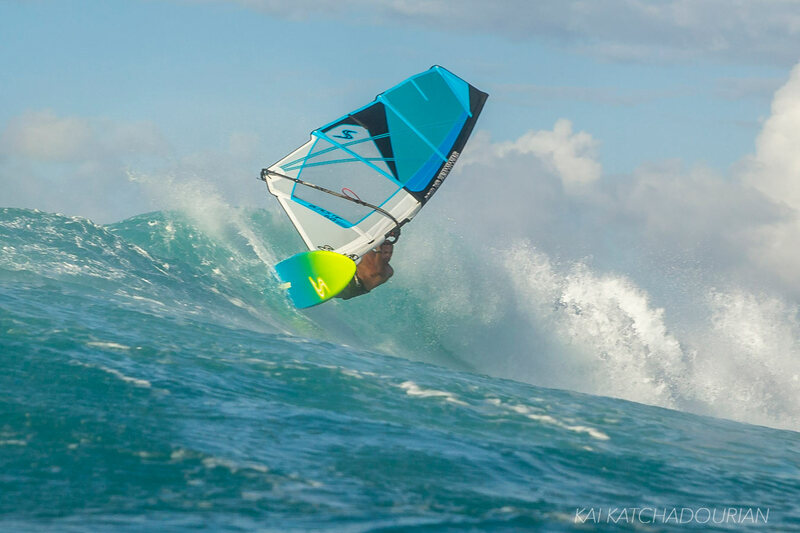 The Flywave is designed to excel in the best breaks and never limit the rider regardless of how heavy the wave is or how hard the rider charges. The all new Flywave shape now fits the classic smooth and precise ground swell carving capabilities into a shorter and rounder hull shape that allows more tighter and more vertical turn. 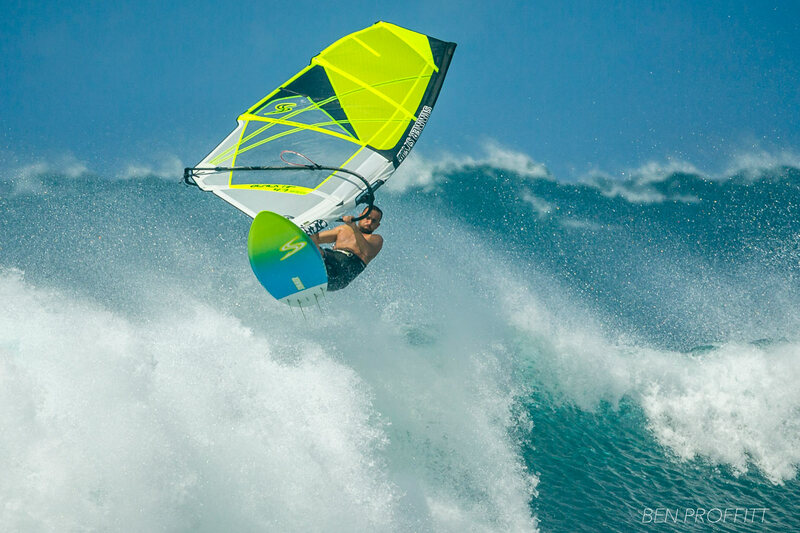 On any performance wave, the new Flywave will let the rider exactly set up and stick to the turns he or she wants. A particular trait of the Flywave is how loose is feels and reactive it gets when going rail to rail, while it still settles in super stable way in the turn once you put the power down. 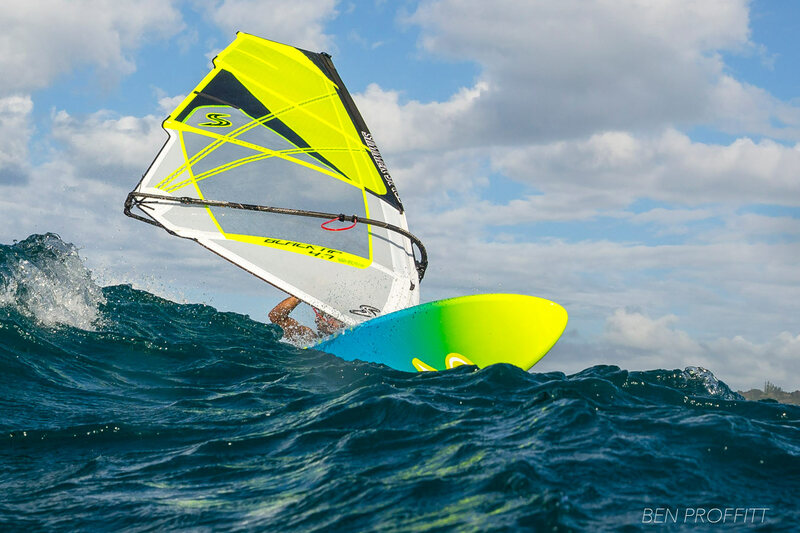 This also means the board now handles power input from the sailor even better and also extends its capabilities for overpowered sailing, further extending the range of this board. The added control and enhanced turning performance means the board can be chosen slightly larger in volume than before, when the conditions calls for extra float. The wide range and setup options of the Flywave allows you take it to any serious wave and have it perform exactly to your liking. The Flywave comes with five boxes to allow maximal tunability. 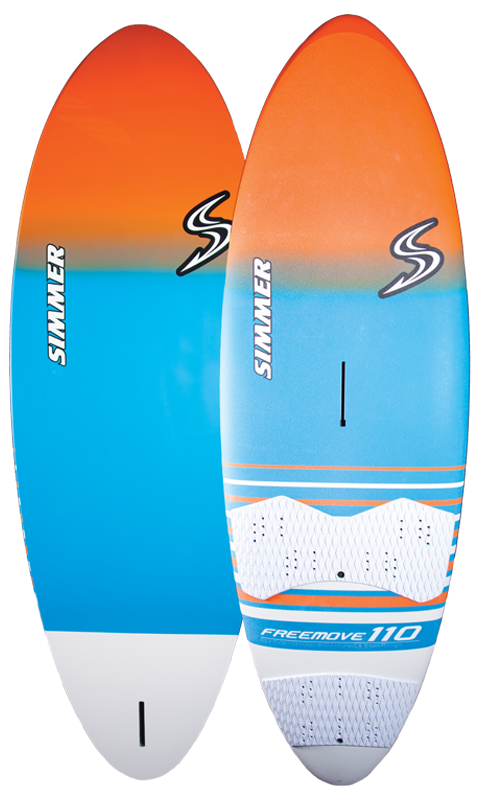 Mission front fins and Blacktip rear fins provide ultimate all round capabilities in a wide range of conditions. 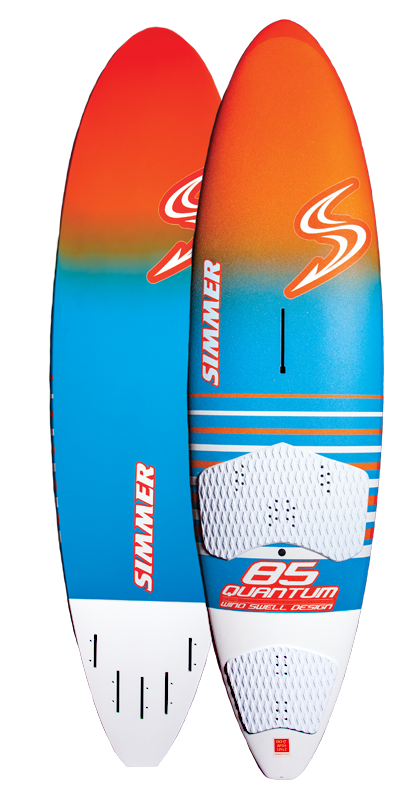 The quad setup offers the best possible combination of control and smooth turns leading to effortless turn entries and smooth carves at the highest speeds and great combinations of power and release off the top on steep waves. 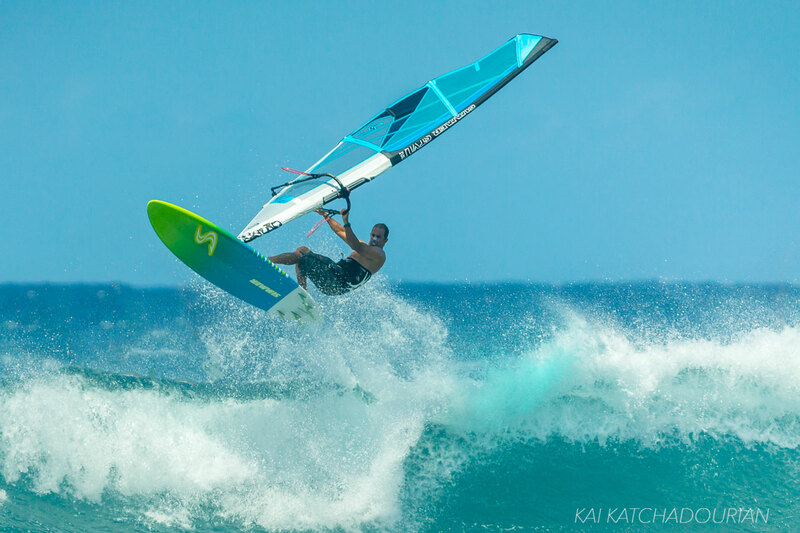 Together with the rocker, concave flow and soft rails of the flywave hull, the quad fin setup also guarantees effortless rides when powered up in choppy conditions, giving top notch control for high jumps. 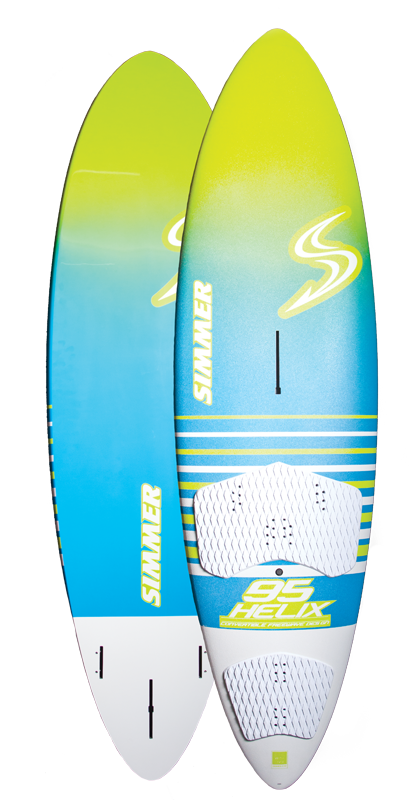 Tri fin setup provides performance oriented fast and powerful wave riding . The bigger center fin gives added power in drawn out turns and a more classical feel with a slower and more controlled turn entry. The leverage from the thruster setup allows for more projection and drive through the turn, essentially like having a wider and more powerful board. 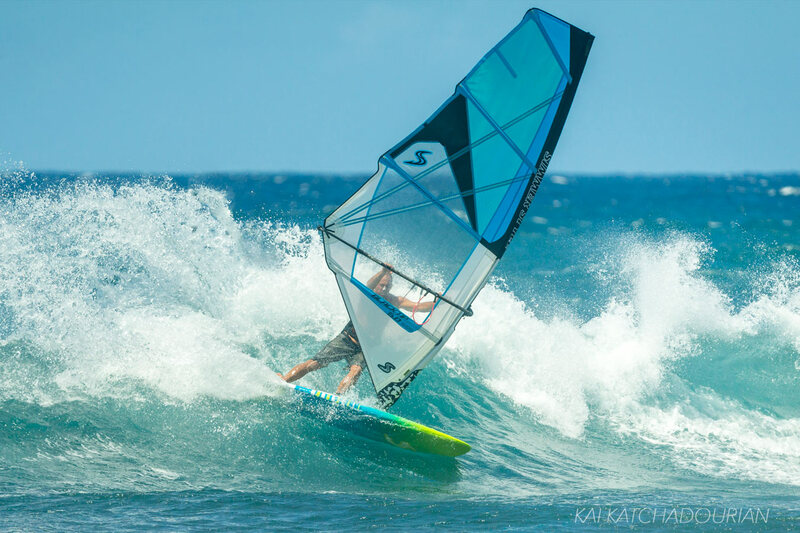 The thruster setup gives the board a higher ride and more back foot power in a straight line, also increasing the ability to carry larger and more powerful sails. 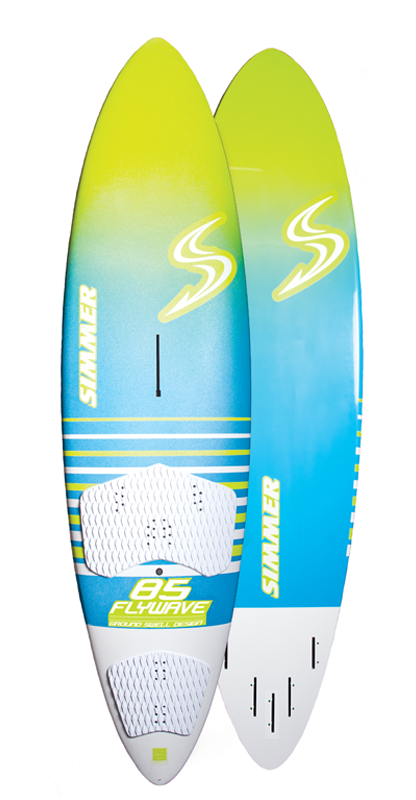 Thruster setup includes Blacktip front fins and small to medium sized Blacktip back fin. - High rocker, tail kick oriented design. 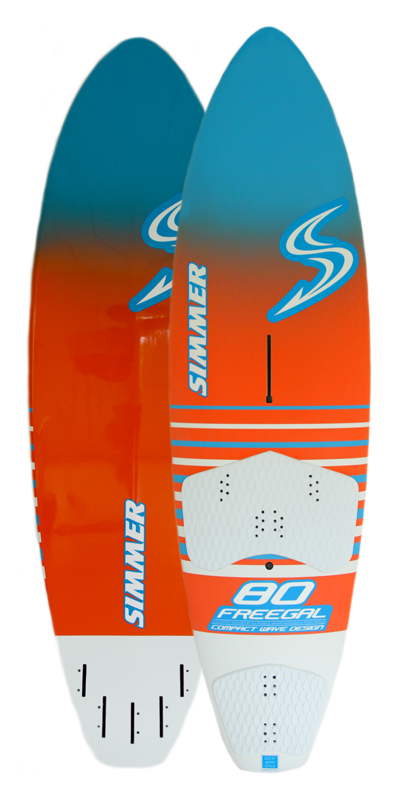 - Medium width outlines that allows smooth and powerful turns also at high riding speeds. 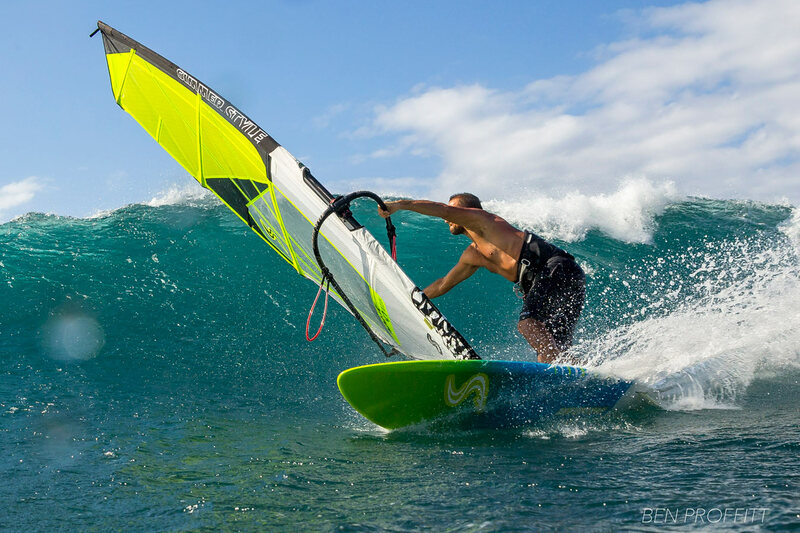 - Softer and higher rails from mid-point and forward adds looseness and control in choppy waves. - Deep single concaves with flow designed to increase rocker close to the rail. - Double concaves inside the single that flattens the rocker between the feet and adds speed and stability.